A book containing information on company policies and procedures is known as the employee handbook. It is given to the new employees who have just joined the organization to find out more about the enterprise. It is usually given to the employees by the employers. 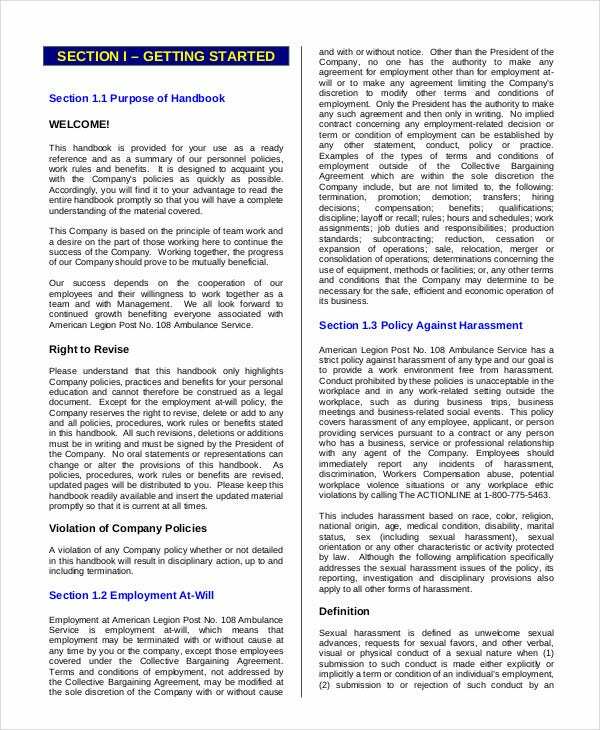 Such a handbook gives a clear picture of the rules and procedures to be followed in the company. A newly joined employee will find it very useful as part of their induction process. 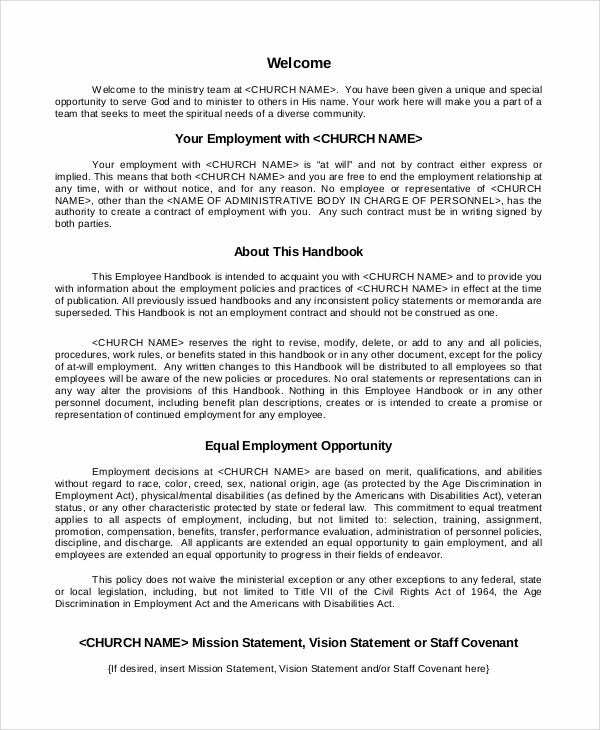 Check out the below mentioned Employee Handbook Templates for your use. An employee handbook is an important communication tool between you and your employees. Use this template to craft a well-written handbook that will set forth your expectations for your employees and describe what they can expect from your company. If you are looking forward to creating an effective employee handbook, you can very well use this fully customizable template. It covers all the areas that an employee handbook should have. You can use this print-ready template after making the necessary customizations. 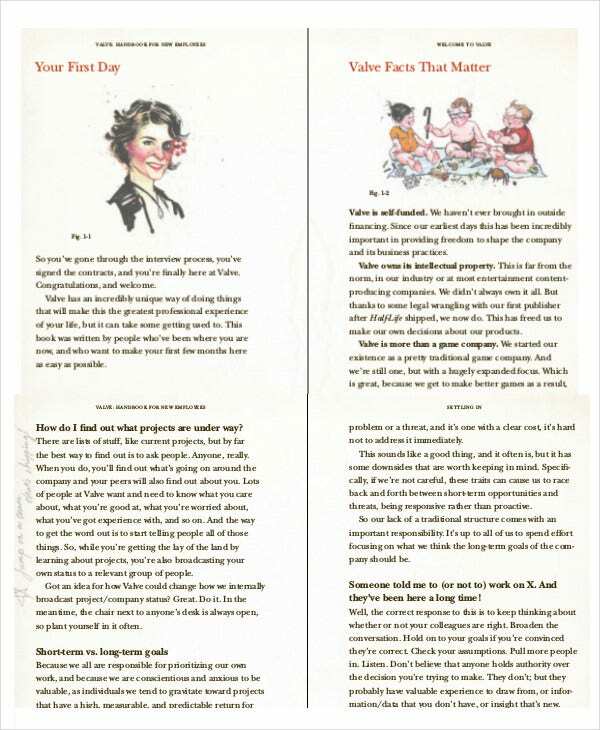 > How Can An Employee Handbook Template Help An Organization? Every Company has its terms, rules, and regulations and it ensures that the employees adhere to all such rules and regulations. It also has policies that it needs to make known to the employees. 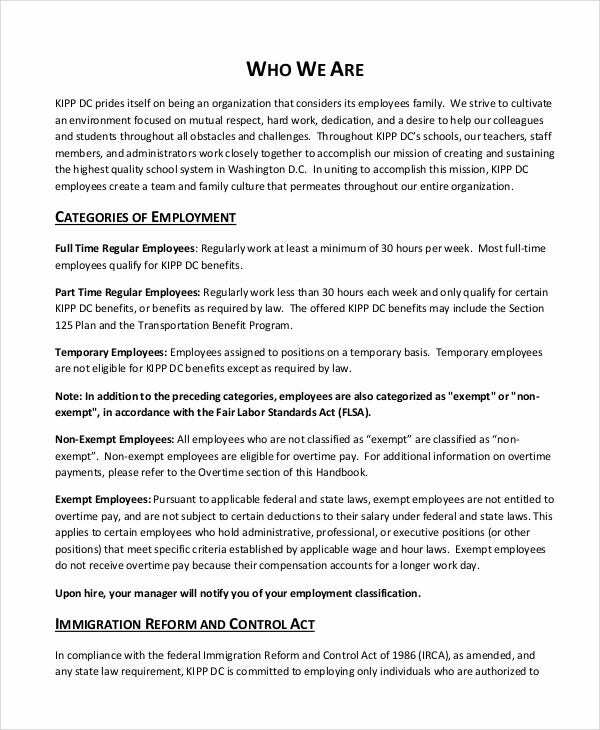 One of the best ways that an employer does all this is through an employee handbook. 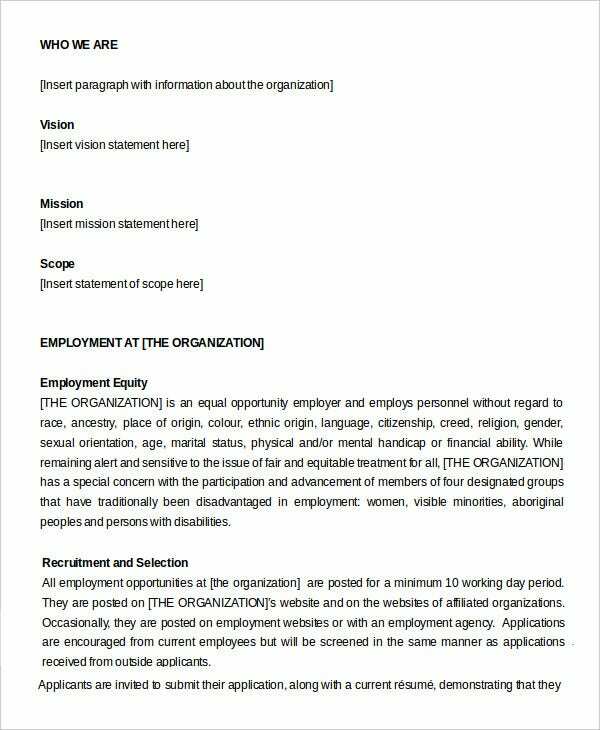 So, an employee handbook is a handy tool that is given by an employer to the employees to know more about the modus operandi of the organization that they have joined. Employee handbook templates save a lot of time as they are fully customizable Book Templates and will serve your purposes well. You can use this document to develop one of the most important documents of your restaurant. Put your set of employee policies, procedures, and practices in writing so that everyone on your staff knows the rules and what to expect. Use this template for this purpose. You can also see Children’s Book Templates. The objective of an employee handbook is to orient the new employees of the company. Most importantly, it is a declaration of the employer’s rights and expectations. 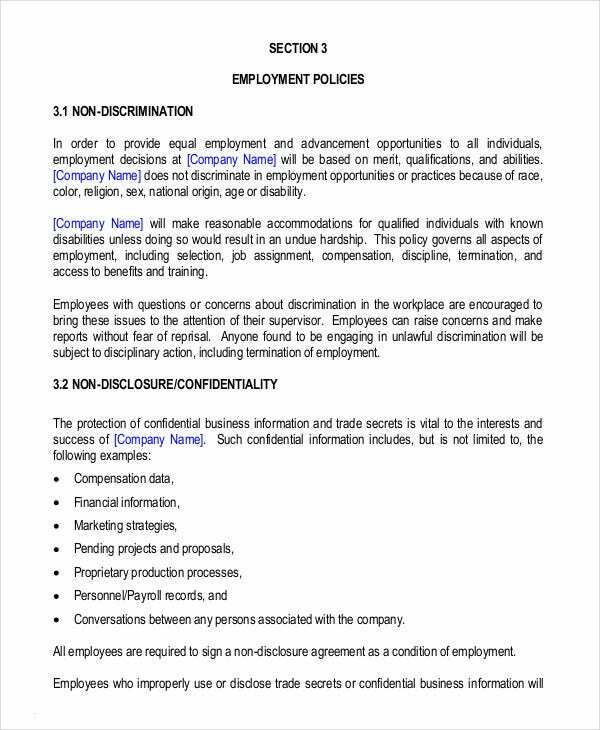 To prepare a handbook and review your company’s policies, you can use this template. NAF stands for Nonapprpriated funds, and this NAF handbook is used by the United States Army. On this template, all the rules and regulations of the organization are clearly mentioned. > How Can You Prepare An Employee Handbook? 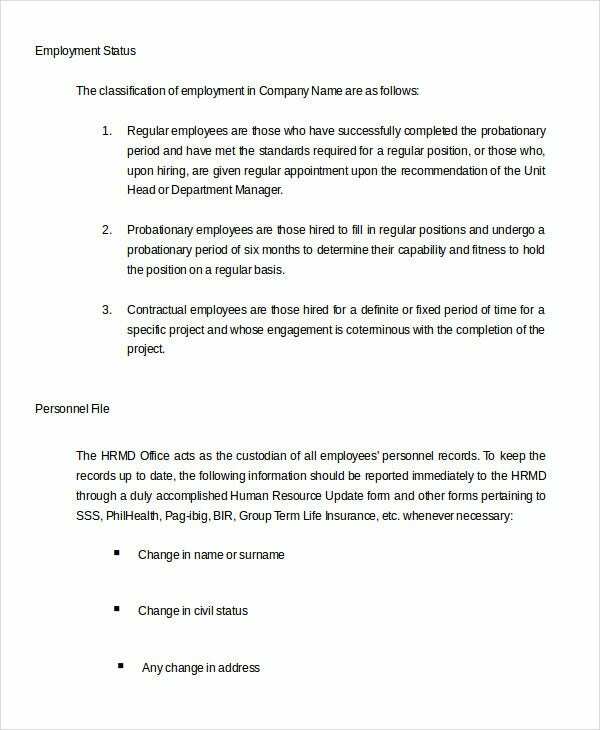 Different employers include different content in their handbook as per their requirement. 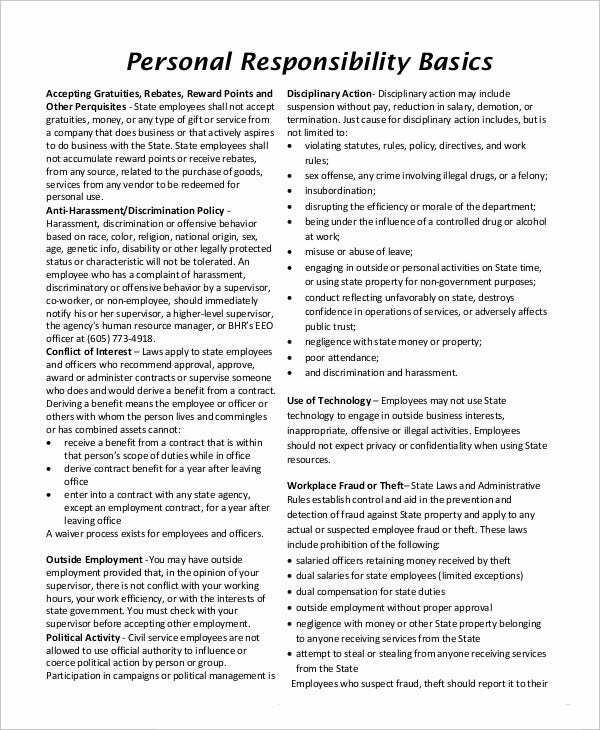 Although most employers hire professionals to create such handbooks, you can do it on your own using the above-mentioned employee handbook templates. You can download the Employee Handbook Templates online. You can also see Comic Book Templates. You will get a score of varieties online and so you can opt for the one that suits the requirement of your organization the most. You can directly use these print-ready templates or can use them as a reference to create your employee handbook. And the best part is most of the templates don’t cost you much. The employee handbook template provides information about a company’s history and how it has developed over the years. 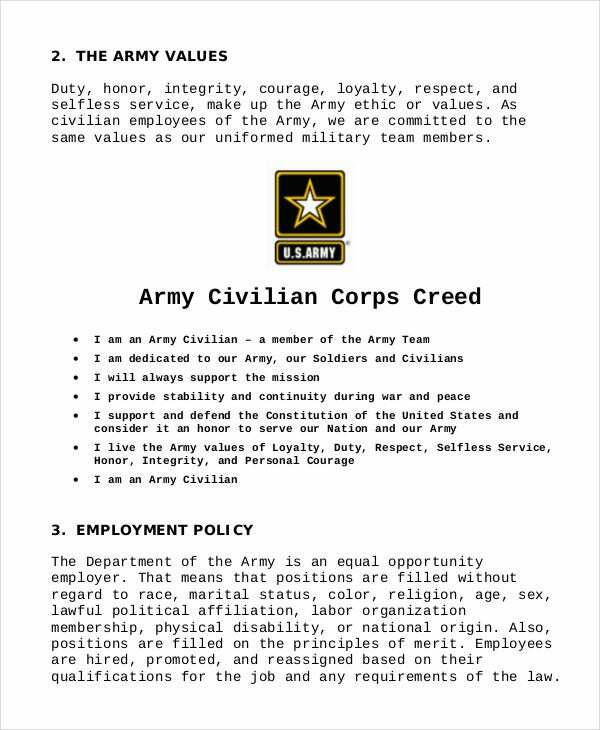 It also includes information on orientation procedures, employee pavement and benefits, conduct and discipline policies, guidelines for performance reviews, and the use of company’s equipment. 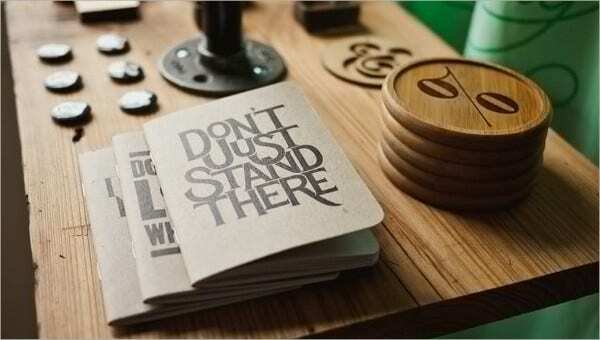 Hopefully, the above templates will help you in crafting effective employee handbooks for your organization.